The United States is hands down one of the most amazing places to travel. As the third largest country in the world by size and population, adrenaline junkies, road trip lovers, popular culture aficionados, and even those who are looking for places off the grid will never ever be ‘done.’ This list focuses on that last bit, as I too am a big fan of finding places ‘off the beaten path’ which give me a sense of, ‘hey I did something not often done.’ I am trusting you dear reader, to not ruin these places for me as they are some of my favorites! I’ve been to Channel Islands National Park a total of three times now, with my most recent trip coming last year as part of my little bro’s 21st birthday. It is the third least visited National Park in the continental US, despite being just an hour off the coast of Los Angeles. Amazingly, this little known spot actually gets better with time. A few years ago, they managed to finally eradicate the invasive wild hog population and re-introduced the indigenous island fox, a tiny, cat-sized creature who loves to hang out around the campsites. On the way, it is almost a lock to see whales and dolphins and if you do decide to kayak the islands, you will see seals and indigenous birds as well. The hiking is amazing too, with great views all around and options for anyone from beginners to those willing to hike from one side of the island to the other. The Catch – I’m convinced that one big deterrent to travelers is how, unlike other national parks, you have to coordinate camp sites, kayak companies, ferry services in advance and it is hard to find reliable information online. 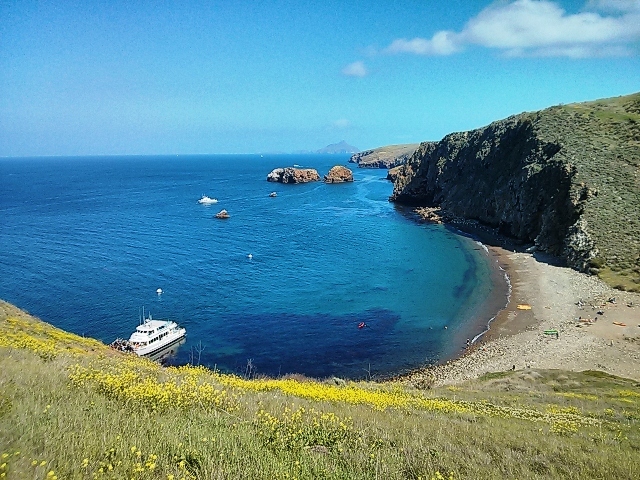 That’s why I made this guide to the Channel Islands for you! The picture above might seem familiar as it was a default wallpaper on windows computers for a long time. 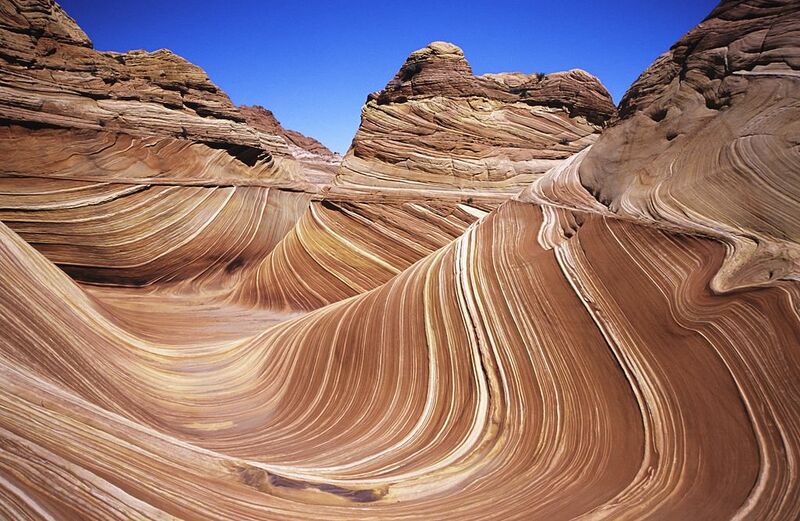 Now you know, it is called ‘The Wave’ and it is located near the Grand Canyon in eastern Arizona. This unusual rock formation does not have a trail leading up to it and requires you to follow a map provided by the Coyote Buttes administrating body. Only 20 people visit the wave per day. The Catch – That 20 person per day is not because of lack of interest. Permits to visit ‘The Wave’ are by online and in person lottery only (10 tickets each). Your odds are 4% – 25% online and similar in person. Full instructions can be found here. This is actually a big catch. I have tried three times in person and failed to get a ticket, making this the only item on the list I haven’t personally visited. Back in 2007, I did a 3,200 mile road trip from Los Angeles to Vancouver and back (listed on this timeline). The original plan was to take the coast all the way to Port Angeles, Washington and then ferry across into Canada but I ran out of time and cut across central Oregon. That is where I came across this place. 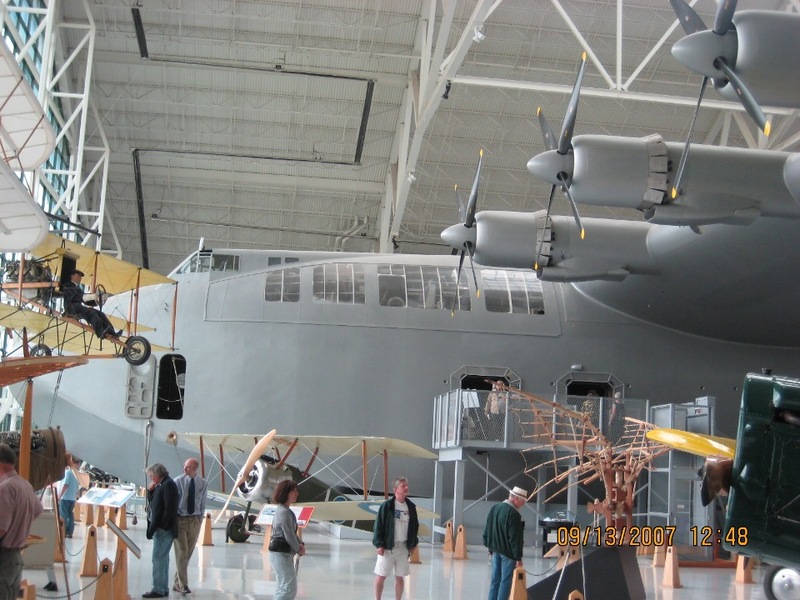 McMinnville holds one of the most amazing aviation museums in the world, notably housing Howard Hughes’ ‘Hercules’ aka the ‘Spruce Goose.’ The largest airplane ever built is so massive, the museum was actually built around the airplane. There are also a ton of other aviation gems, including an SR-71 blackbird. The Catch – The only real catch here is that it is pretty out of the way from most American attractions except for Portland. It is definitely worth the detour though. The native Pueblo tribe saw an explosion in the sky roughly 1000 years ago which was bright enough to be seen for 3 months. It was the formation of the Crab Nebula. This UNESCO World Heritage Site gets an average of 50 visitors a day, making it one of the least visited parks in the country. The Chaco Culture was a multi-cultural entity which met here in ‘Grand Houses’ to discuss anything from agriculture to politics. Think of it like a 1000 yr old United Nations of the Native Americans in the region. The main reason I wanted to visit (despite adding to my UNESCO count) was a hike that leads to the ‘Supernova Pictograph,’ pictured above. I visited as part of my 2,200 mile road trip last year. The Catch – To get there, you have to drive 15 miles on a dirt road in the middle of nowhere. Seriously, if your car breaks down here, good luck getting some help as there is very little traffic all day long and the road only leads to this park and a few rural properties. However, with some of the clearest skies in the country, camping here is so worth it. Right before crossing the border from California into Nevada, the road intersects two large deserts. Death Valley National Park is internationally known and definitely worth a look, but little brother Mojave is absolutely stunning. It is home to the ‘joshua tree,’ a beautiful desert species indigenous to this little corner of the world. 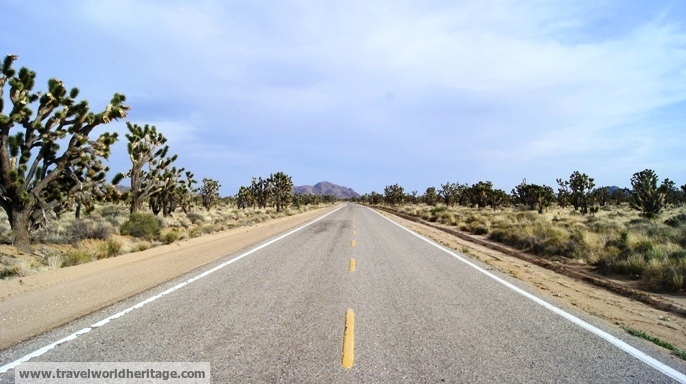 Driving across the Mojave Desert is something you should definitely do at least once, and a perfect place to get off the beaten path. Watch out for desert tortoises which like to hide in the shade under your car. Don’t scare them though as they will pee on you as a panic suicide maneuver as they cannot afford the water loss. Double bummer. The Catch – Be sure to have plenty of fuel as there are very few services in and around the desert. I almost ran out of fuel, and this is one place you don’t want to be stranded. If you have any more hidden gems (maybe even more hidden than these), please share! ← International Driving Permits: What Are They and Do I Need One? 5 Hidden Gems in the Western US or America? – I definitely agree with Channel Islands, Mojave, Chaco, and Vermillion Cliffs National Monument (The Wave). Haha Kyle, got me on the title. The running title was actually “Western America” but as I wanted to make a series out of this post (and New Mexico is pushing it), I stuck to America. I gotta say, I havent been to any of your suggestions, but my friends keep egging me to go to Mono Lake and the Sierras. I think on my next US trip I will do that. I havent even been to Yosemite! The one where you have to apply by mail sounds like the logistics alone might deter a good amount of people so I am keen to checking that one out first :). As always, thanks for your input. Absolutely stunning. I have actually never seen so many petroglyphs and one of the main reasons I went to Chaco Canyon was to see them. Definitely will check this out on my next trip to the US. Are you in the US now? Yes, I live and work in LA. 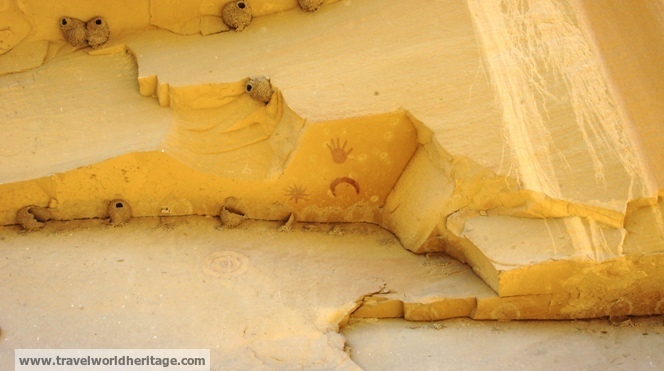 Coso Rock Art District has the highest concentration of Petroglyphs in North America. Their age varies from 6000 BP to about 500 BP. I’m sold, definitely on my next trip home. Hopefully this holiday season. I was so privilege to visit Mojave Desert last year. That was one of great experiences ever with those crazy beautiful thorny giant cactus. ahaha A cool corner of the world! You know I realize that the world is really blessed with these beautiful places,so we must treasure it! International Driving Permits: What Are They and Do I Need One?